At our annual meeting in March, Corporate Voices will be joined by three leaders of The Campaign to Fix the Debt for a lively discussion on the country’s debt crisis, the threat it poses to our global competitiveness and prosperity–and how U.S. companies must be involved in the solutions. The Campaign is a nonpartisan movement to put America on a better fiscal and economic path. It has been busy mobilizing key communities–including many prominent business leaders–and individuals from a variety of social, economic and political perspectives who want to see elected officials step up to solve our nation’s enormous fiscal challenges. Former U.S. Congressman Victor Fazio, who served for 20 years as a member of Congress, representing California’s 3rd District. During his tenure of distinguished public service, Hon. Fazio was appointed to the House Appropriations Committee, serving as a subcommittee chairman or ranking member for 18 years. He was chairman of the Democratic Congressional Campaign Committee. Hon. 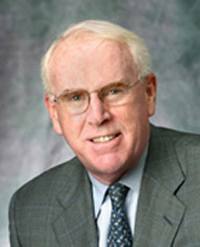 Fazio is currently Senior Advisor at Corporate Voices’ member company, Akin Gump Strauss Hauer & Feld LLP. Former U.S. Congressman Jim Nussle represented the state of Iowa for 16 years in the U.S. House of Representatives before he served for President George W. Bush as the Director of the White House Office of Management and Budget. As the current president and chief operating officer of Growth Energy, a trade association made up of America ethanol companies and industry partners who are committed to the promise of growing America’s economy through renewable energy, Rep. Nussle focuses his efforts developing creative policy approaches and proactive grassroots advocacy. The two will be moderated by Frank Micciche, Chief of Staff at Fix the Debt. Previously, Mr. Micciche worked at McKenna Long & Aldridge LLP where he specialized in developing and implementing public policy strategies for clients working to help states and the federal government innovate in the area of health care – with a particular focus on the establishment of health insurance exchanges. The Annual Meeting, themed Corporate Leadership Beyond the Workplace, will be held March 20-22, 2013, in Washington, DC. Register online today! Hotel reservations can be made at The Madison Hotel by calling 1.800.424.8577. Mention Corporate Voices’ room block to receive your discounted rate. If you have further questions, please email jshare@corporatevoices.org. So how did the annual meeting goes? do you have a follow up blog post for it? I am quite interested on the topic they had discussed. We indeed did a follow-up blog to the email. Below is the link. You can also click below to go through our agenda and view the presentations. If you have any further questions, please let me know. And thanks for reading!